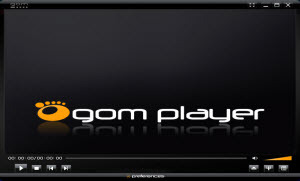 GOM Player is a visually appealing video player with very interesting features and which, above all, solves any problem you may have with codecs. If you want to play videos but do not want to walk with complications codec, GOM Media Player solves the issue. By including most codecs (XviD, DivX, FLV1, AC3, OGG, MP4, H263, etc. ), GOM Media Player doesn't need to install anymore codec. In addition, if you already have codecs installed on your PC, Gom Player will let you choose what you want to use, yours or those included in the program. GOM Player also supports subtitles (SMI, SRT, RT, SUB). With GOM Player, you can also customize the skins, so you can customize its appearance to your like. GOM Player has earned a well-deserved honor gap between the select group of video players.